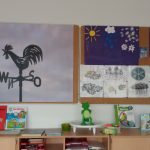 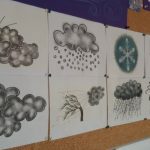 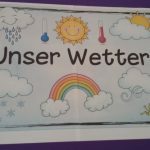 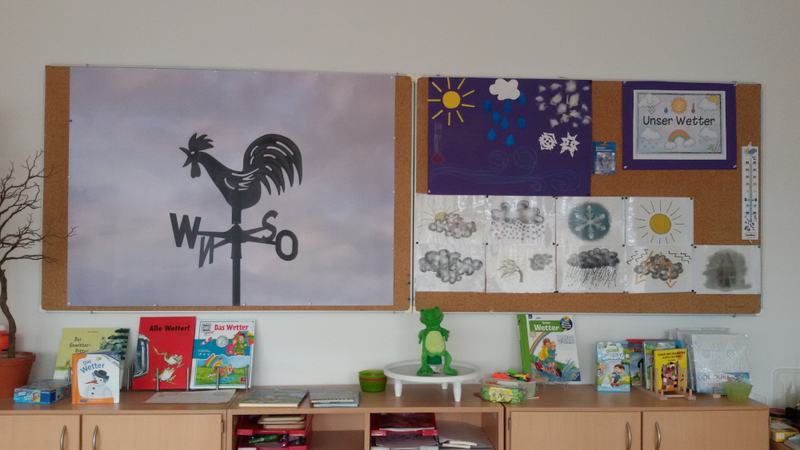 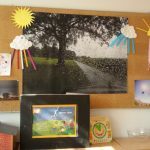 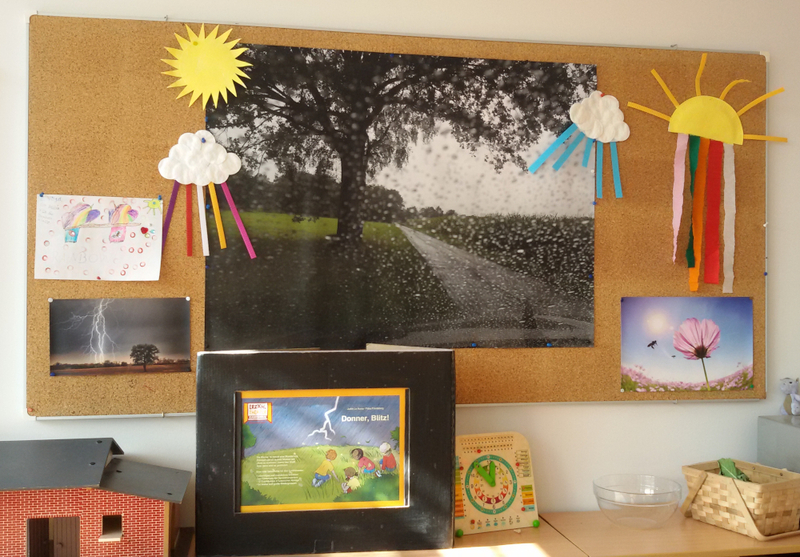 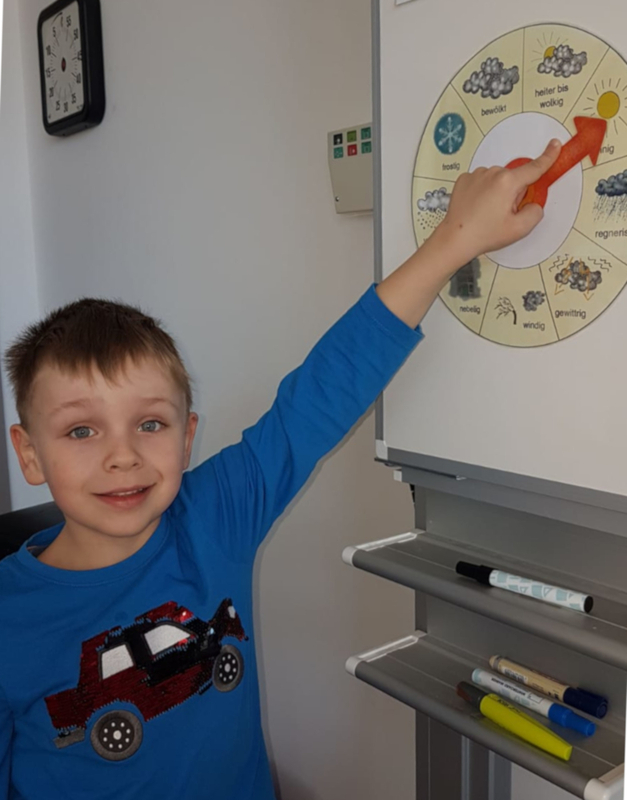 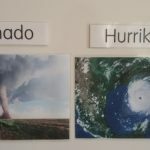 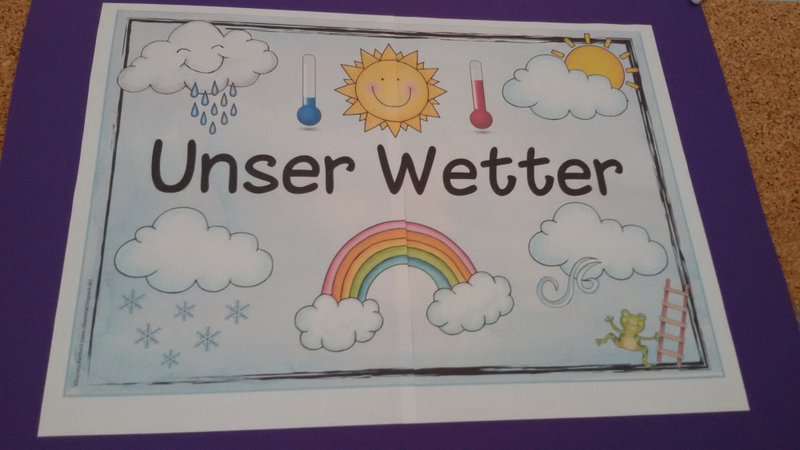 We decorated our classroom fitting the topic “weather”. 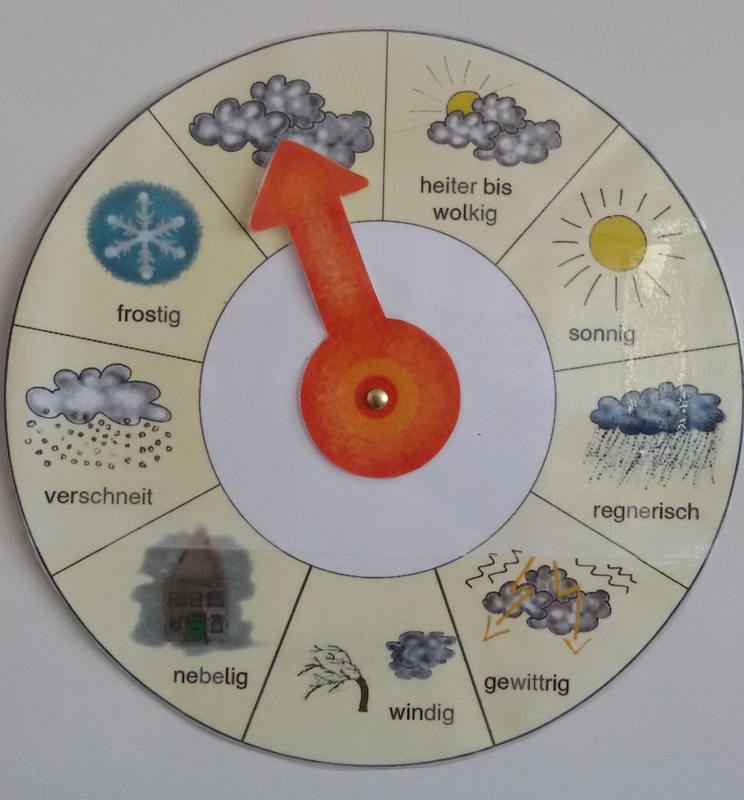 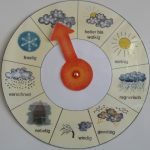 Every morning a different child set our weather clock. 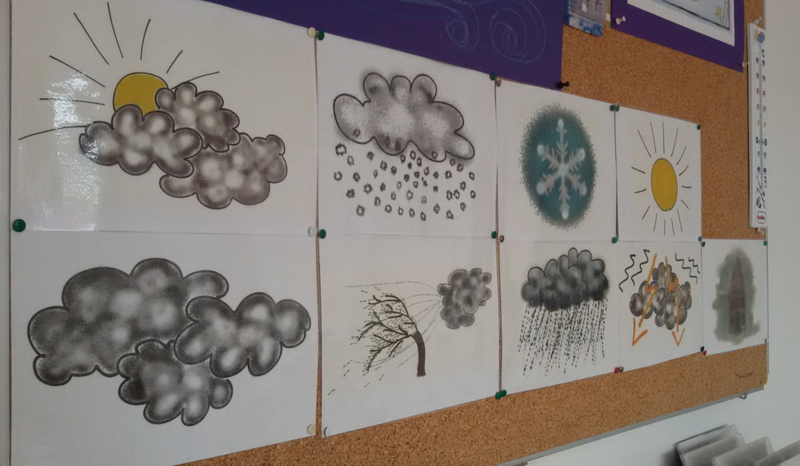 Our weatherman leads through the lessons. 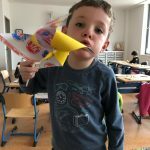 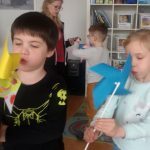 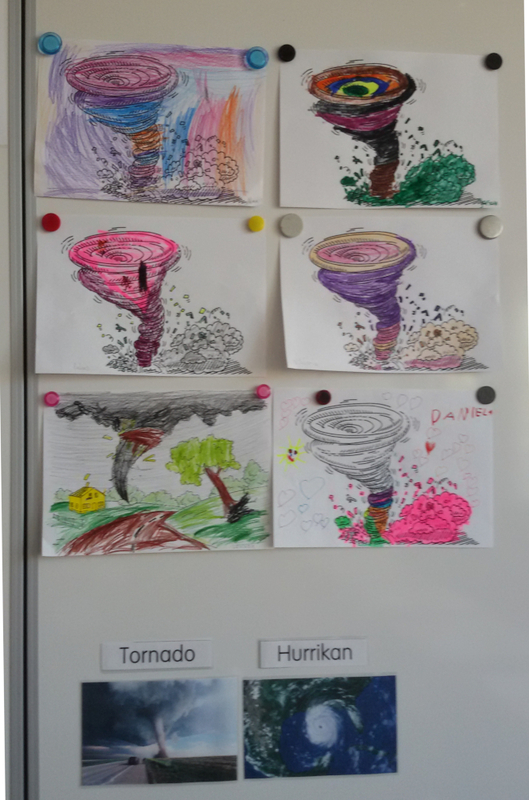 We got to know a lot about wind. 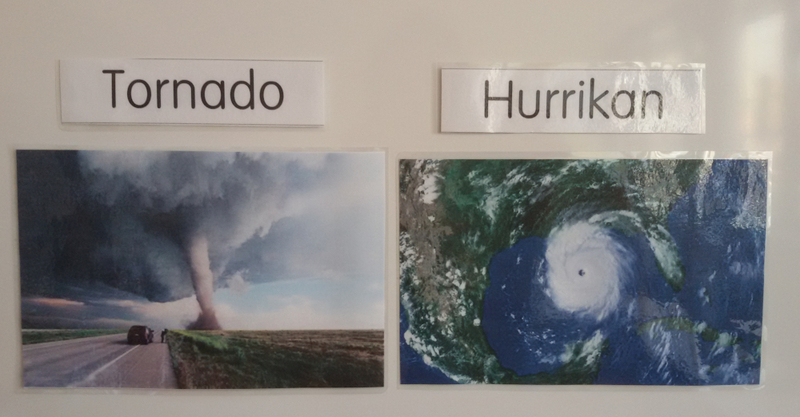 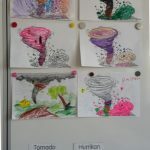 We know the difference between a tornado and a hurricane and drew pictures about it. 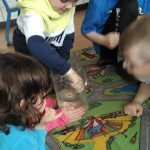 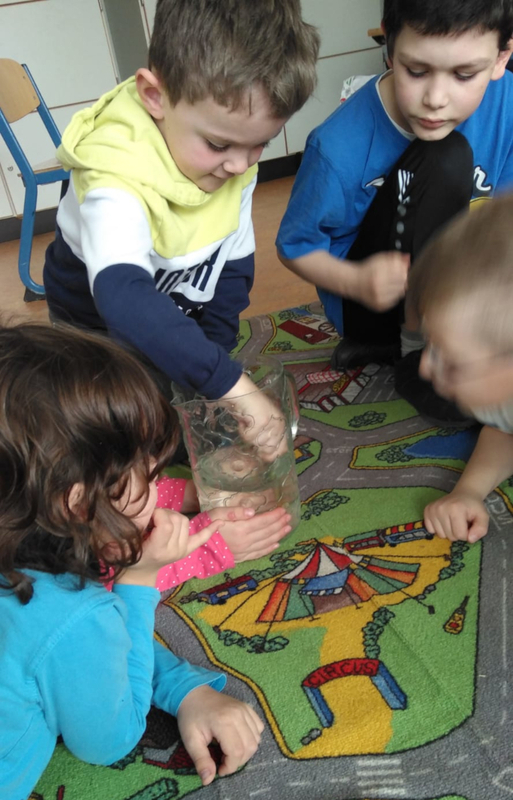 We had a lot of fun during the “tornado in a glass” experiment. 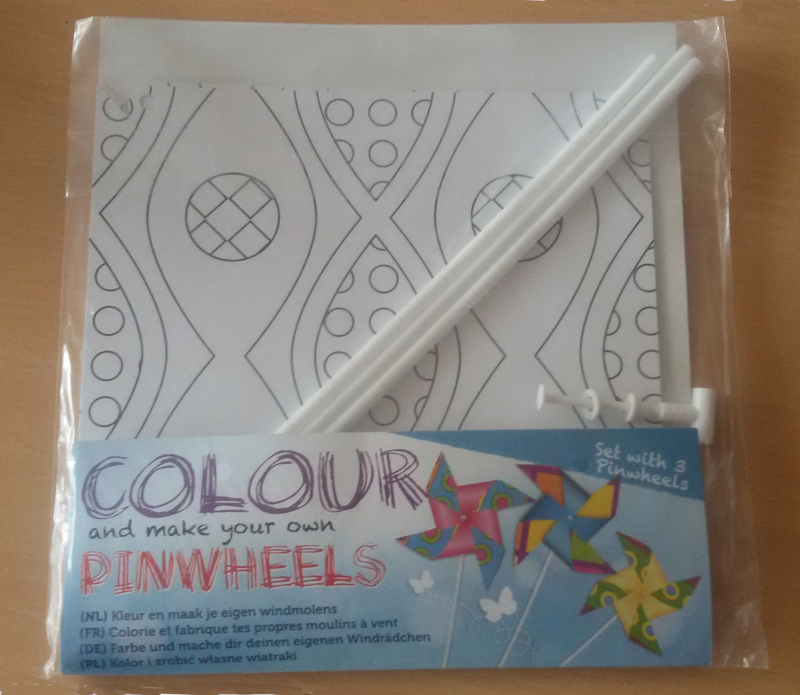 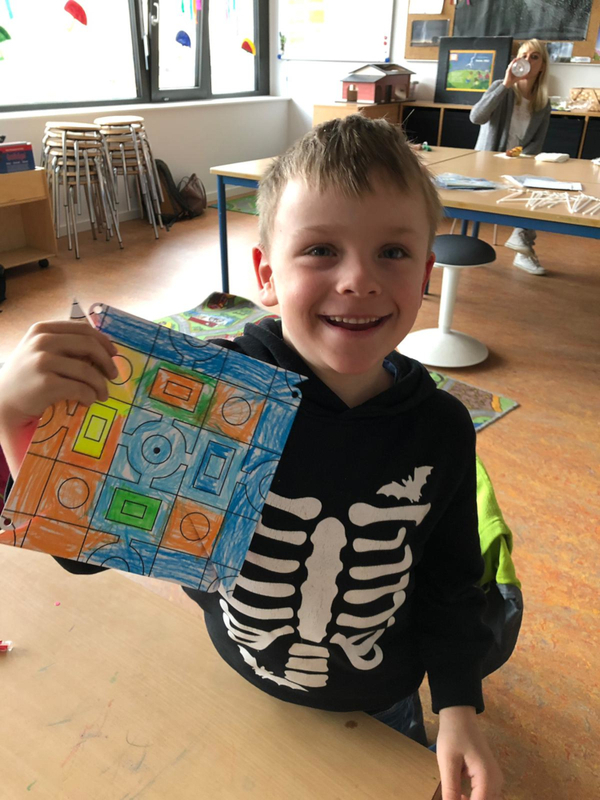 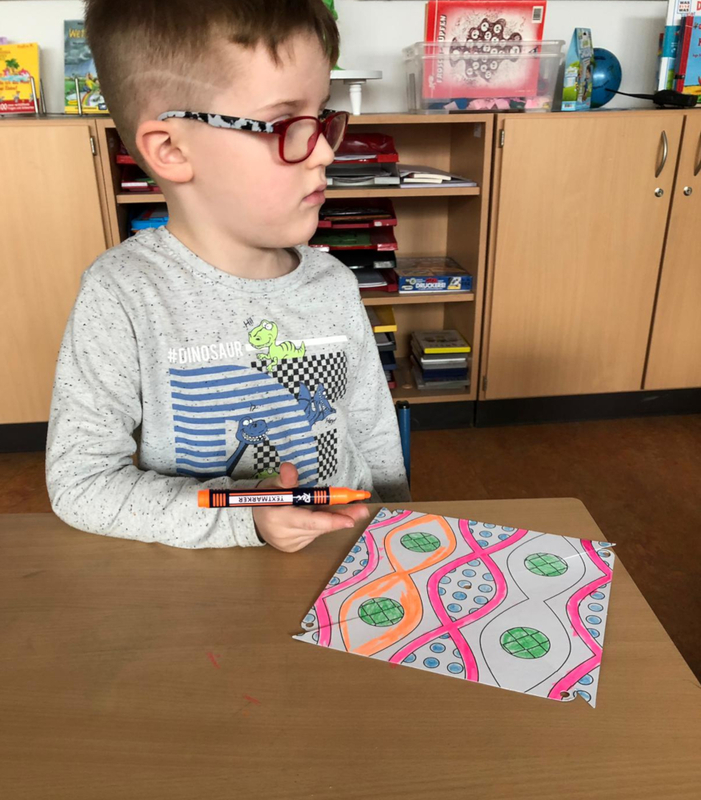 We coloured and crafted pinwheels in arts class. 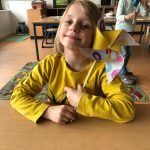 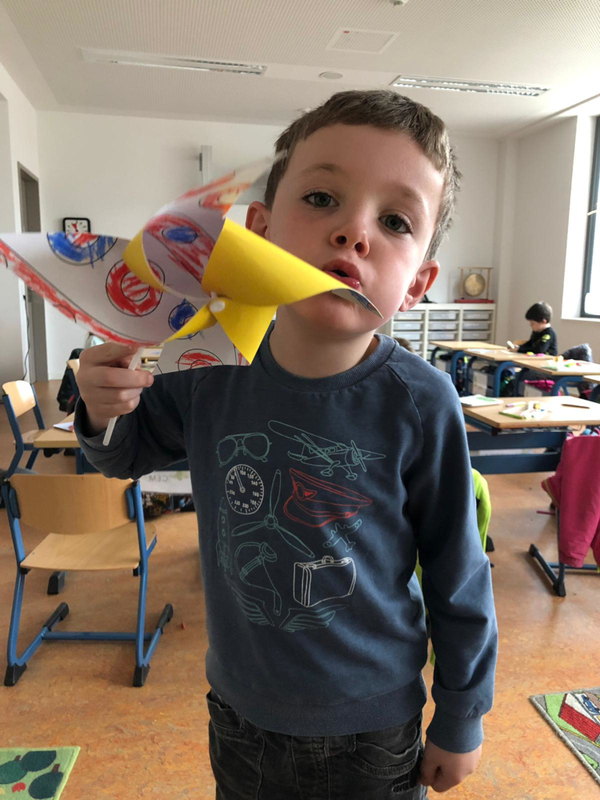 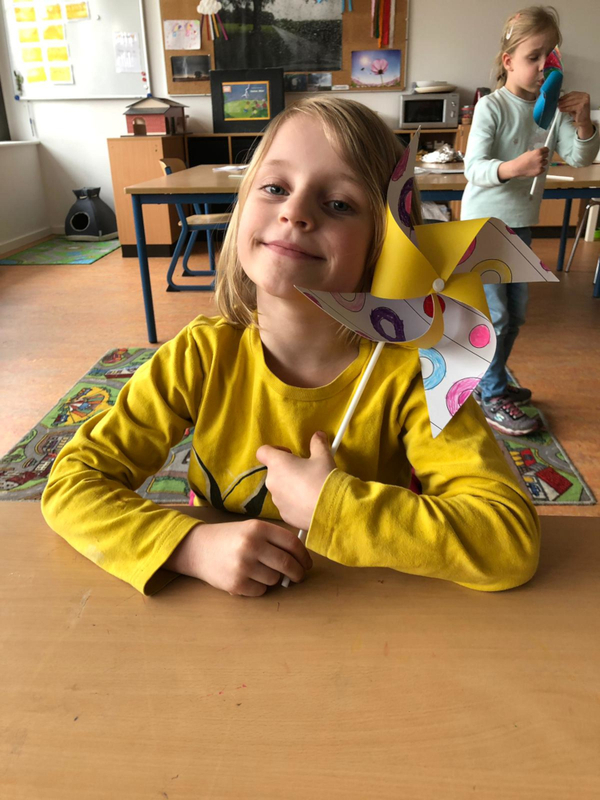 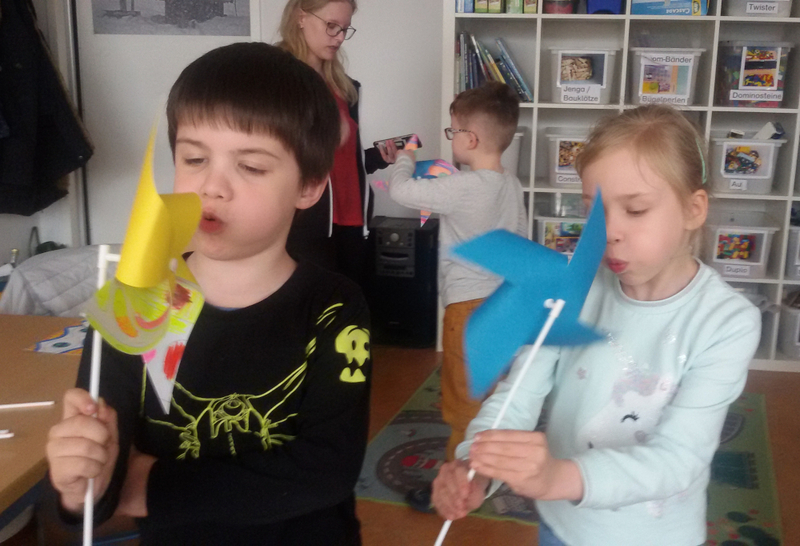 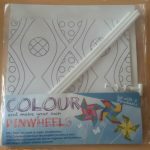 It was fun to try pout the pinwheels. 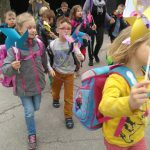 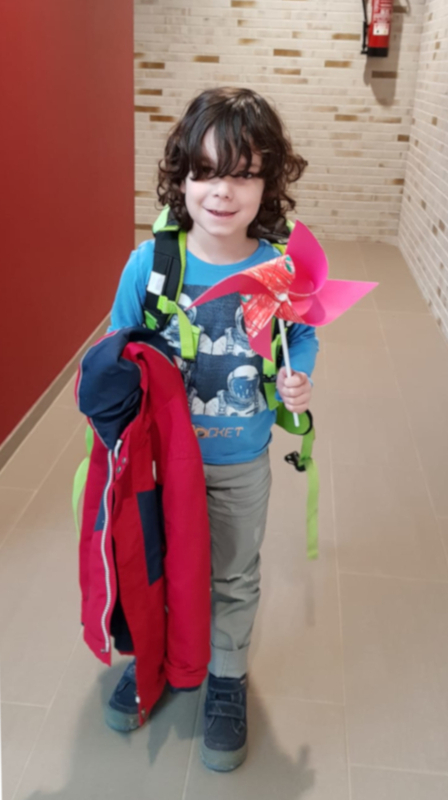 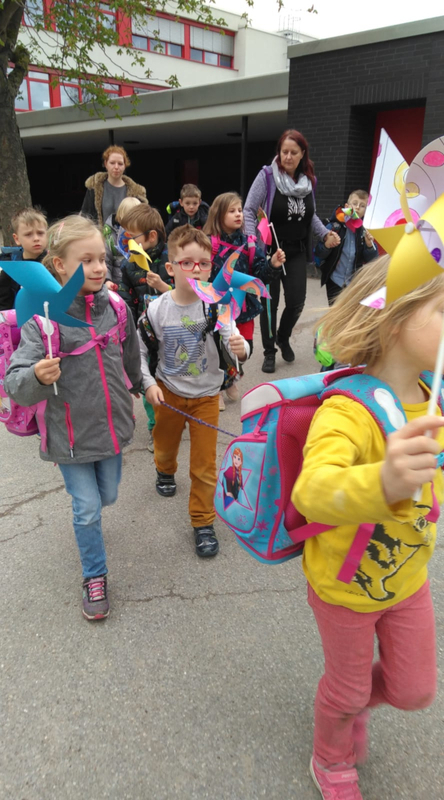 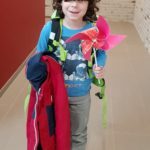 We were allowed to take our pinwheels home. 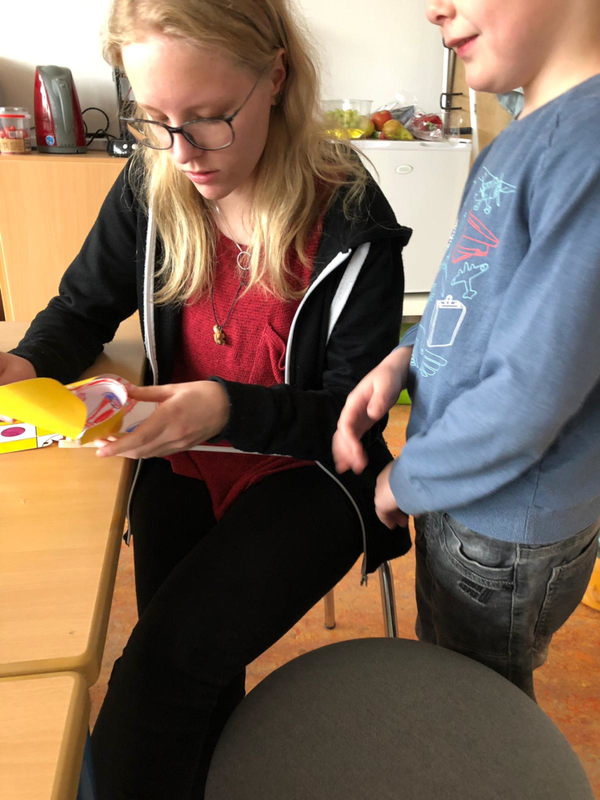 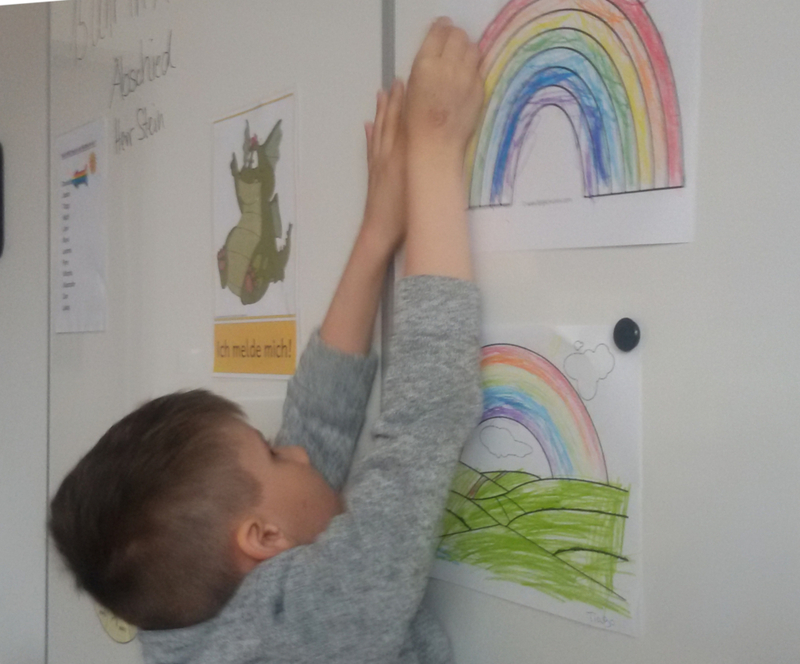 We listened to a book text about rainbows. 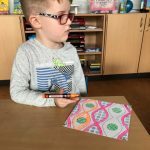 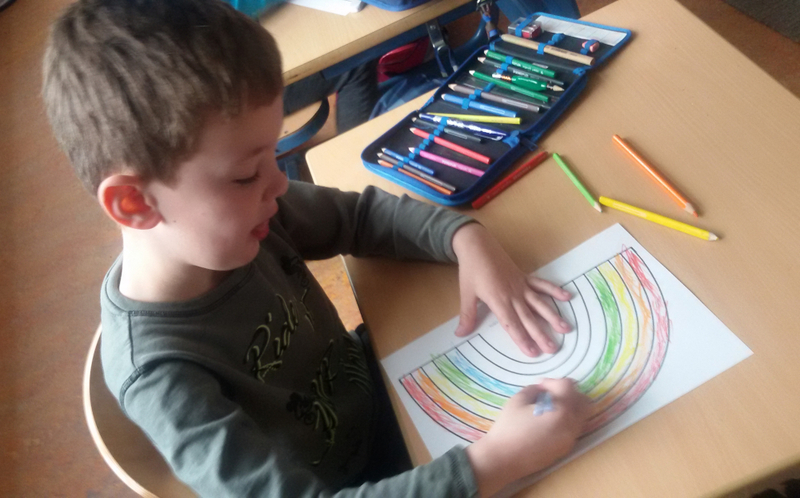 Then we learned the order of the colours. 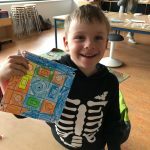 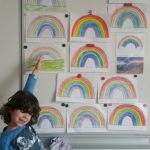 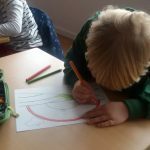 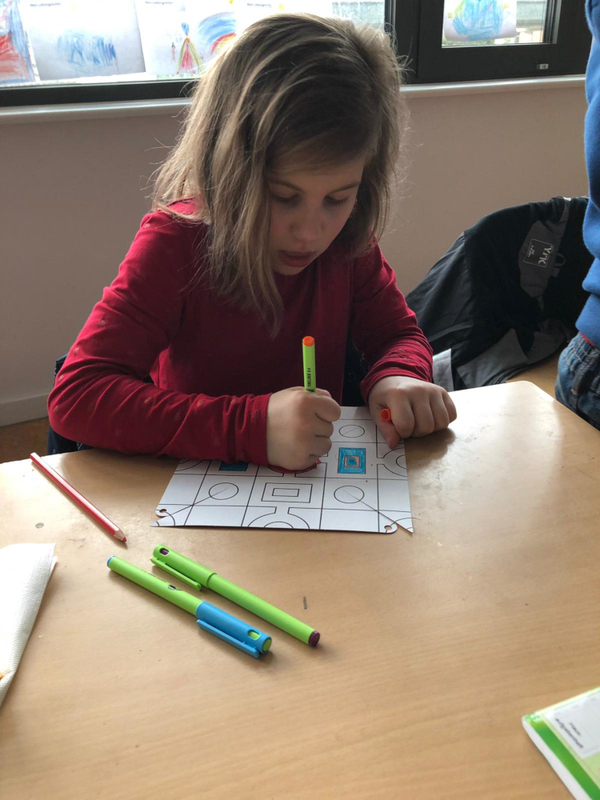 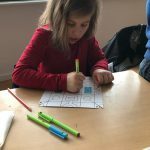 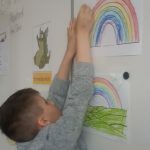 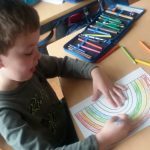 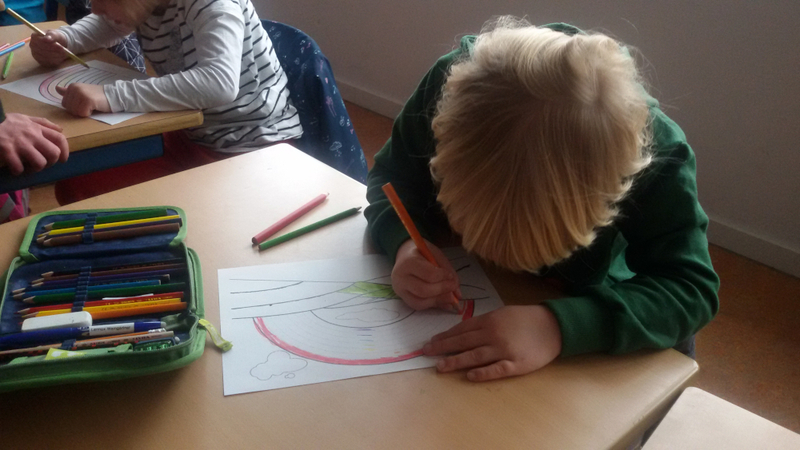 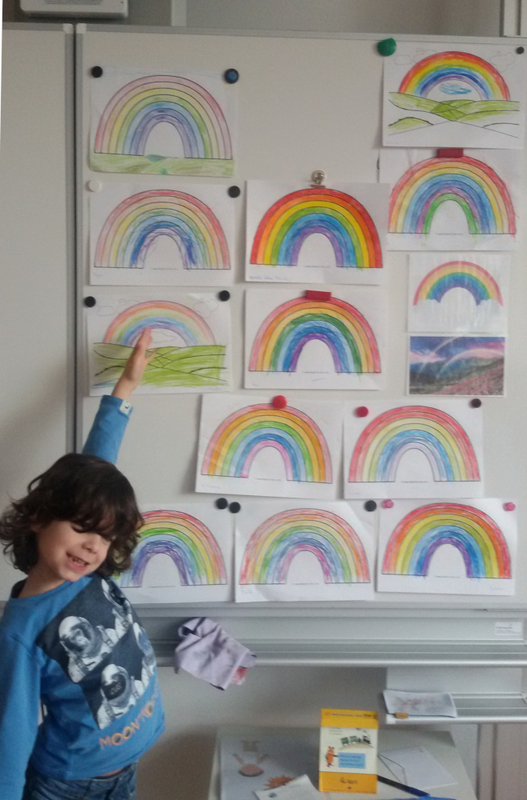 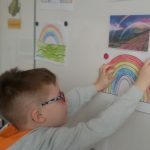 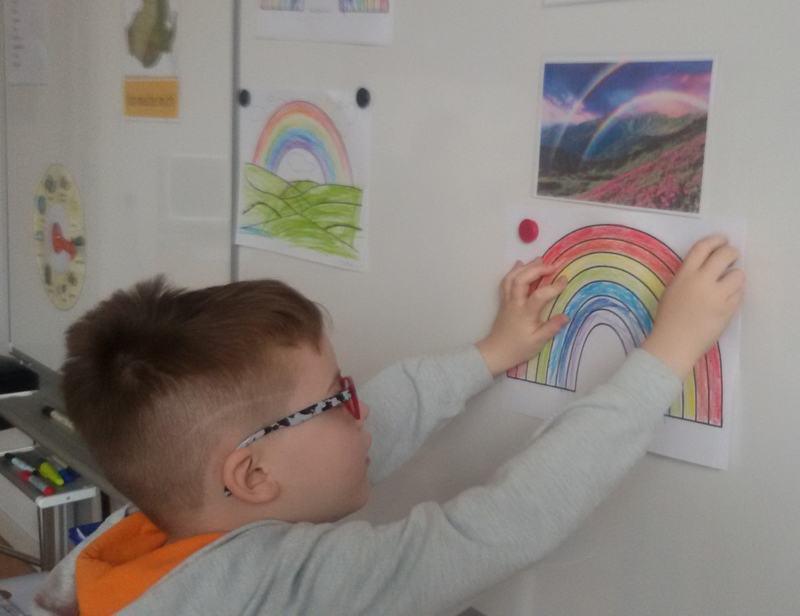 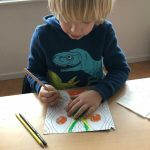 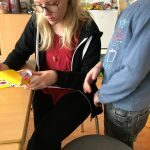 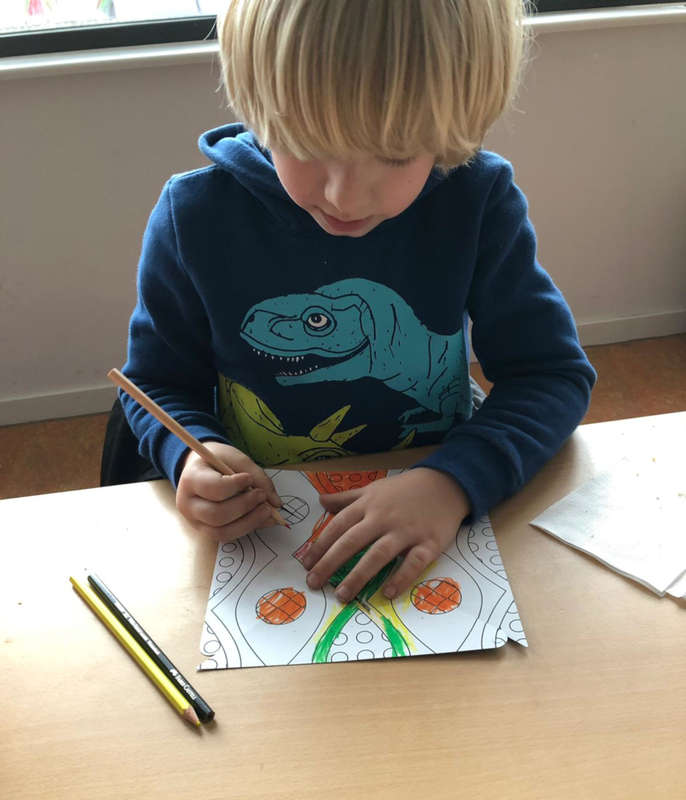 In the end each pupil drew a rainbow. 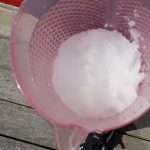 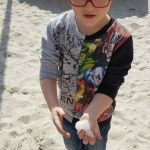 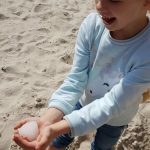 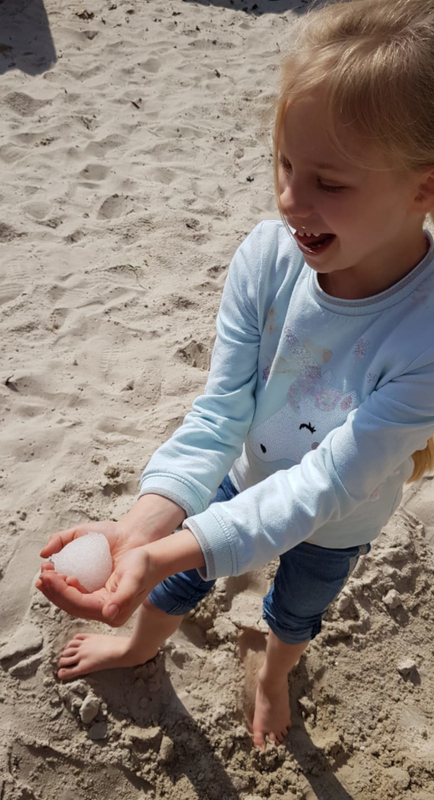 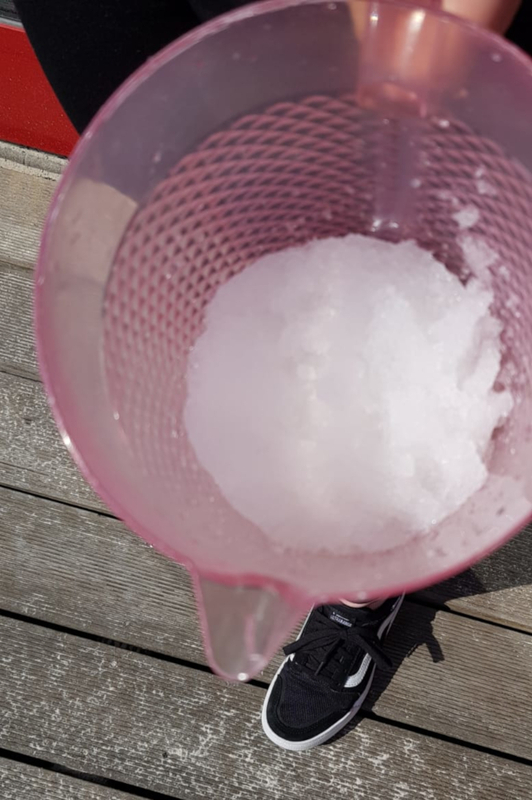 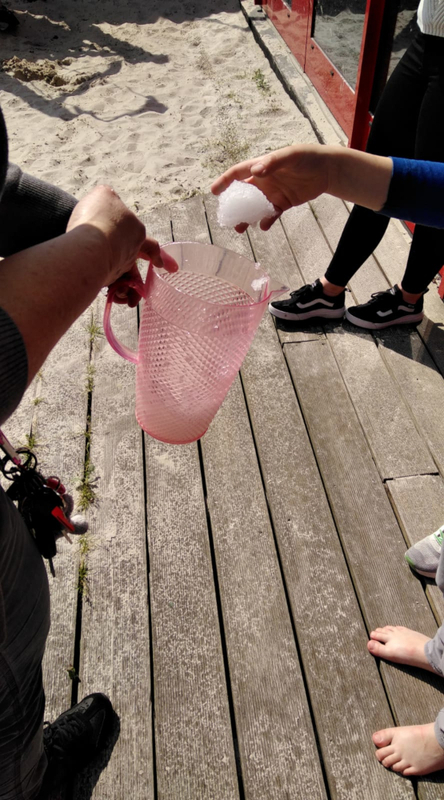 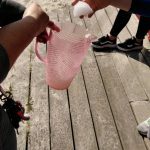 We missed the cold season but we made our own snow and could play with it during the sun was shining very warm.